Custom toy gun commissions available for most toy guns in your favorite comic, movie, company, and personal theme. July 29, 2015 - PRLog -- Do you like guns? Do you want to decorate your man-cave with a few rad-looking guns? The responsibilities of owning a real gun weigh you down? Is it legal in your state to own a Gatling Gun? My name is Mario, I am the creator of successful Kickstarter project "RPG Dice Knobs", and "RPG LED Dice Keychain." I love indoor gaming but I also love the outdoors and that is one of the reasons I created CUSTOMTOYGUNS.com. A lot of us enjoy special indoor events and outdoor activities and why not do it in style. My family and I love playing with toy guns and whenever we are not playing, the toy guns are kept in the garage inside a box. I personally love the creativity that goes on the design of these toy guns. The designs are very unique but the bright dead-solid colours make the guns seem insignificant to have them on display in your living room, office, etc. Wait no more! For we have created CUSTOMTOYGUNS.com just for you. 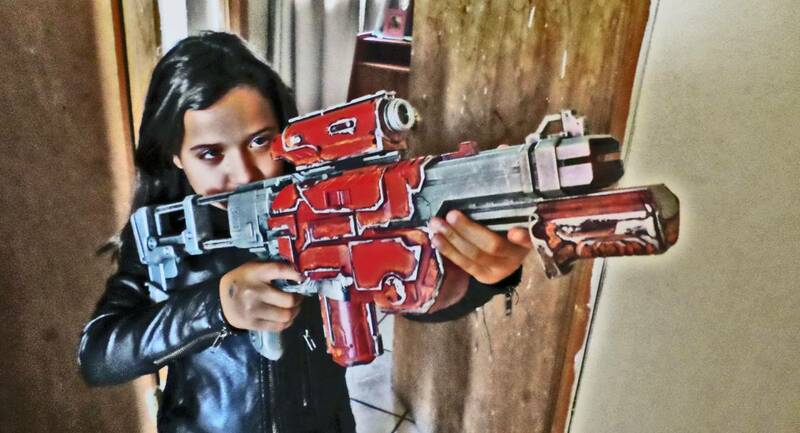 "Custom Painted Toy Guns." Now, you can play with, match your costume, and hang on your wall an awesome, creative, fantasy-looking, fun, inspiring toy gun in your house, office, bar, etc. You may send reference material for your own idea. Thank you in advance and for supporting my previous projects. If you like this project, all you have to do is place an order for a gun tier and optional ammunition upgrades, and accessories. Please checkout the images for the different toy lines and order accordingly. Also, please note that guns will be in new, like-new, or used condition prior to the new paint application. The reason for this is because some of these guns and accessories may be discontinued and they are only available in open-box, mint, and used conditions. In the case where the gun is not available, I will give you the option to choose a different gun or refund. If the toy gun is not listed, please send us the name and model and we will add it to the list after close inspection. All guns (if applicable) will include default customized clips, stocks, grips, bipods/tripods, and barrel extensions. You may order a bigger ammunition clip or drum, add a scope, and/or other custom accessories.